Version 3.1.1 of the Amazon Kindle app for iOS devices has gotten a nice update today that brings full compatibility with Apple’s iOS 6 beta software. Previously, the Kindle app for iPad and iPhone crashed on iOS 6 any time you tried to open a book, now we’re hearing that the app opens books just fine under the new beta. 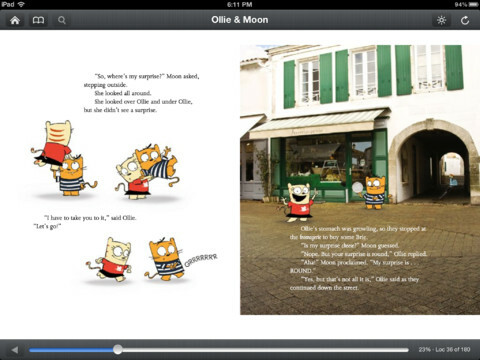 The version 3.1 update, which came out mid-june, also added a few other features, like support for graphic novels, comic books and kids books, with over 1,000 titles available including Batman, Superman, Brown Bear and Curious George. The iPad version also got my number one most requested tweak: “Smaller margins and a cleaner look help you focus on the author’s words.” Finally, no more gargantuan margins that cut down on reading space. The iPhone version of the Kindle app also gained a search feature that allows you to find a book by title or author. You can grab the update now on the App Store or download it now via the link below.